Environmental conditions can wreak havoc throughout all phases of a coating application. To maximize the longevity and performance of the coating, we need to monitor environmental conditions, utilize proper testing equipment, and maintain daily field logbooks to stay on the path to coating success! Environmental conditions refer to the air and surface temperatures, relative humidity, dew point, and wind speed; each of these can negatively impact the coating if not properly monitored. Air and surface temperatures are the first conditions to check when assessing the potential for effects on the working and curing time of the coating as well as moisture formation on the substrate. It is equally important to verify that temperatures arein line with the manufacturer’s product recommendations. Curing times can slow down or accelerate when the coating is applied in colder or hotter temperature conditions. Relative humidity is the actual amount of moisture vapor in the air relative to the theoretical amount of moisture the air can hold at a given temperature. High humidity in the environment condenses on a colder surface in the form of moisture. Humidity levels can hinder the rate of solvent evaporation and can lead to amine blush forming on (epoxy) coating surfaces. Dew point relates to the temperature at which the air is cooled to become saturated with water vapor. The measurement of the dew point relates to humidity; a higher dew point means there is more moisture in the air. 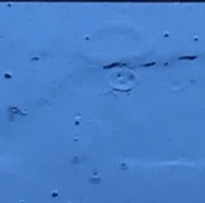 Air that is cooled to its dew point through surface contact to a substrate that is colder than the air causes condensation to form on the surface. 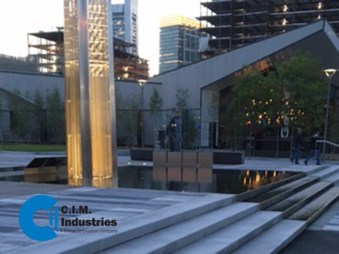 CIM coatings should only be applied to a substrate when the substrate temperature is no less than 5°F above the dew point. Continually monitor air and surface temperatures, dew point and humidity levels. If the temperature readings continue to encroach upon the 5°F differential, then the coating application should stop. Contact your local CIM representative for additional instructions. Wind speed can negatively affect the coating when contaminants such as blast media, dust, sand, water, and debris are blown onto the surface area where the coating will be applied. Other negative factors associated with wind speed include accelerated solvent evaporation and drifting or over spray of applied coatings. Wind can also create an “orange peel” texture appearance on the surface of the coating when materials are applied in windy conditions. Related article: Documenting Your Coating Application is Important! 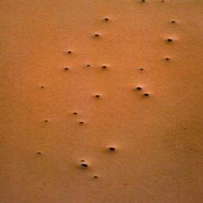 Cratering occurs when trapped air or solvent bubbles burst leaving small “craters” in the coating as it dries. 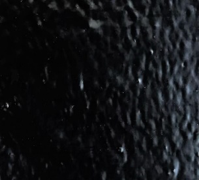 Generally, when these blisters burst, there is insufficient time remaining during the curing process for the coating to remain flowable to form a uniform film. 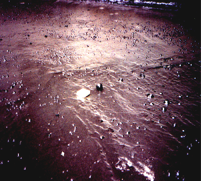 Craters can also be formed if the coating is exposed to rain immediately following its application. Pin-Holing occurs when air, trapped solvent, moisture, or poor surface preparation create small holes or groups of holes in the coating. Pin-holes in the coating can be caused by surface porosity or other imperfections in the substrate as well. 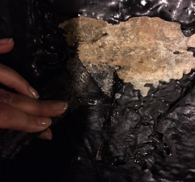 Outgassing/Offgassing occurs when air trapped in the concrete releases during temperature rising mode. To minimize the effects of outgassing during a coating application, it is recommended that the CIM membrane NOT be installed during rising temperatures and exposure to sunlight. 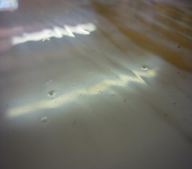 Delamination can occur when the coating is applied over a surface that contains dew or if dew exists on the surface between multiple layers of a coating. Amine Blush occurs when moisture in the air interacts with a curing agent in the coating. Amine blush resembles a waxy or sticky appearance on the surface of a cured epoxy coating/primer. Orange Peel Texture occurs when the coating is exposed to wind or direct sunlight causing the coating to dry with a bumpy or rippled textured. Environmental conditions should be monitored and documented on every coating project. 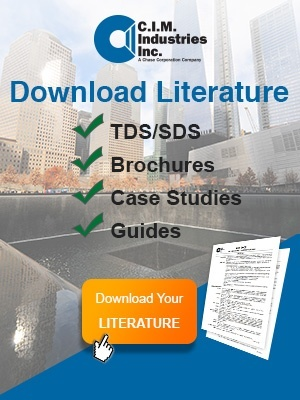 Coatings manufacturers, inspectors, and contractors alike cannot stress enough The Importance of Documentation! 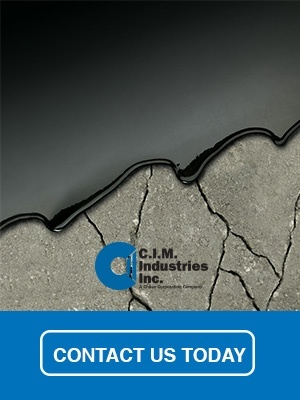 CIM Industries has been keeping liquids where they belong for over 35 years. Our team of technical consultants is available to assist you with product information to meet your coating needs, please contact us.